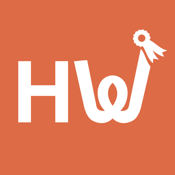 HealthyWage runs awesome weight loss challenges. Many of the biggest companies in the world trust HealthyWage to run their corporate challenges, but you can participate on your own or with friends! Take and post victory photos, cheer on your teammates as you shed weight, and keep track of your weight for weekly checkins. Once you experience the thrill of HealthyWage, you'll never go back to struggling on your own. Try it and see for yourself! Featured on the Today show, Good Morning America, CNN, ABC News, NBC News, Fox News, and in The Wall Street Journal & The New York Times.